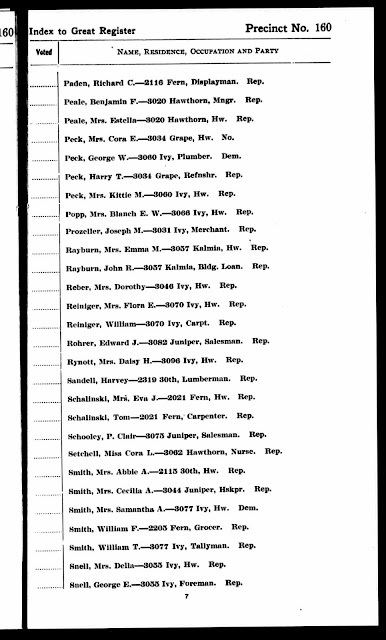 "California Voter Registers, 1900-1968," digital images, Ancestry.com (http://www.ancestry.com) 1930, San Diego County, San Diego, Precinct No. 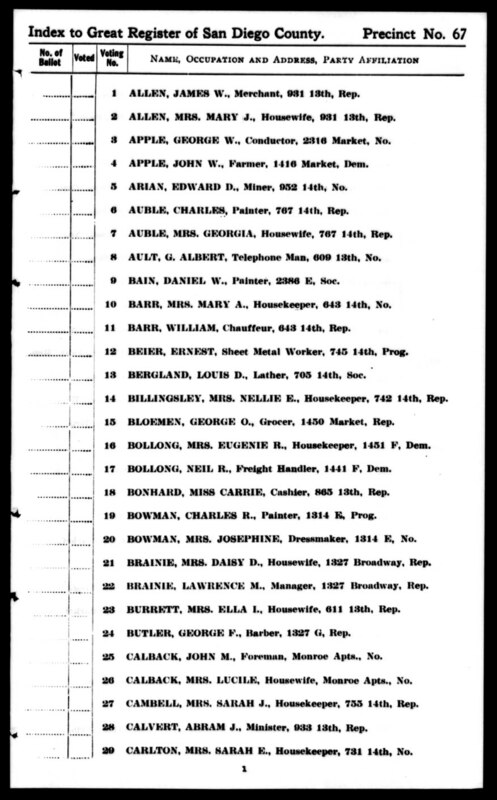 160, page 7, Mrs. Abbie A. Smith entry. 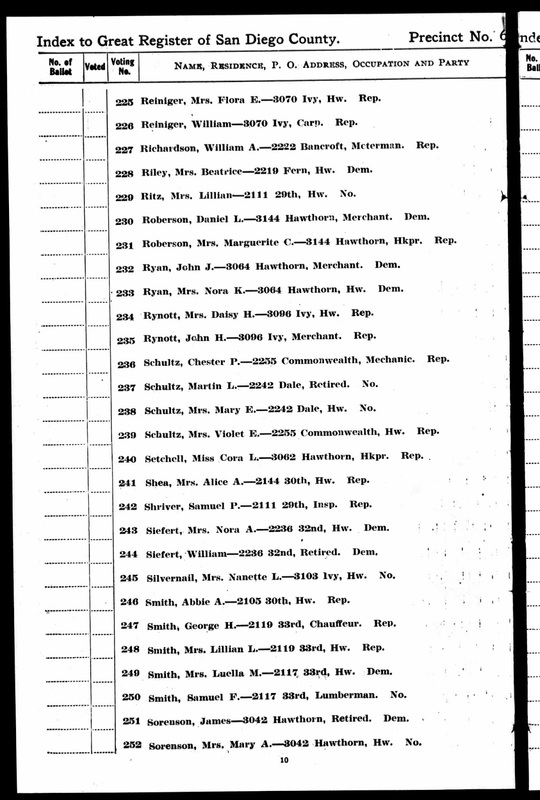 Abbie A. Smith was residing at 2115 30th Street in San Diego with Austin and Della (Smith) Carringer (my great-grandparents). 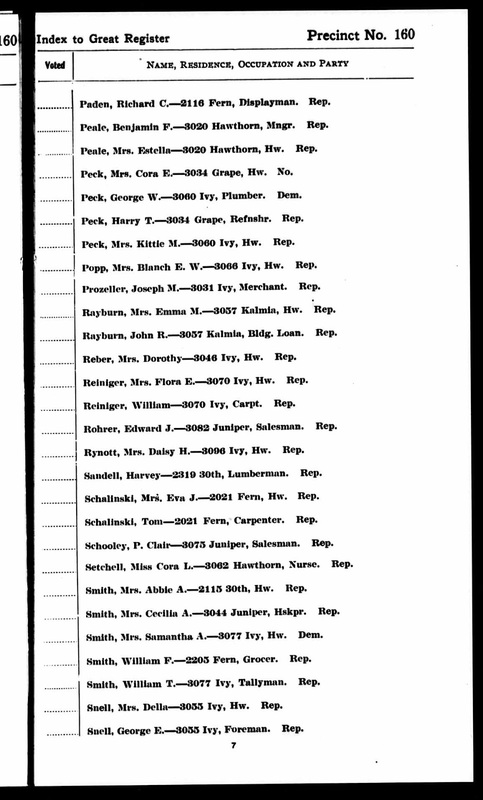 Abbie was Della's mother and age 86 in 1930, and died in 1931. She was the widow of Devier James Lamphear Smith (1839-1894). The house number has changed since the 1924 entry (it was 2105) because the Carringers moved the house about 80 feet north in about 1927.